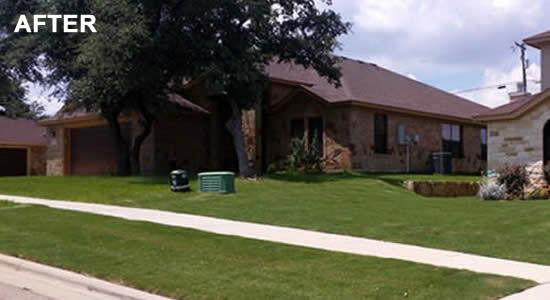 Fertilization services will provide your lawn the rich support it needs to properly reach its full potential. 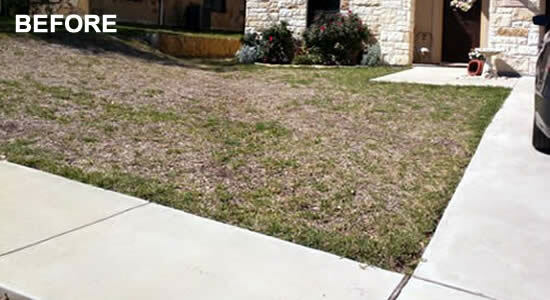 Your grass can have a very difficult time reaching its optimal growth and health without a proper fertilizer and proper application of that fertilizer. Our team has the knowledge and tools to properly apply fertilizer to give you the best results possible. We will work with you to provide you with a personalized fertilization plan for your lawn. These plans may consist of weed pre-emergent treatments, regular fertilizer applications, and post-emergent treatments. We promise to only give you what you need and not to try to sell you anything extra. We want to give you the best lawn possible without breaking the bank. Fertilizer is a means to enrich the soil with organic matter to provide nutritional element to your lawn to help it grow properly and efficiently. Fertilizer is made of Nitrogen, Phosphate, and Potash, and all in different ratios depending on the specific fertilizer. Some lawns may need more nitrogen than others, this is why it is important to hire an experienced and knowledgeable company to handle this for you. Our team has the knowledge to give you the proper recommendations to ensure your lawn is growing at its best.